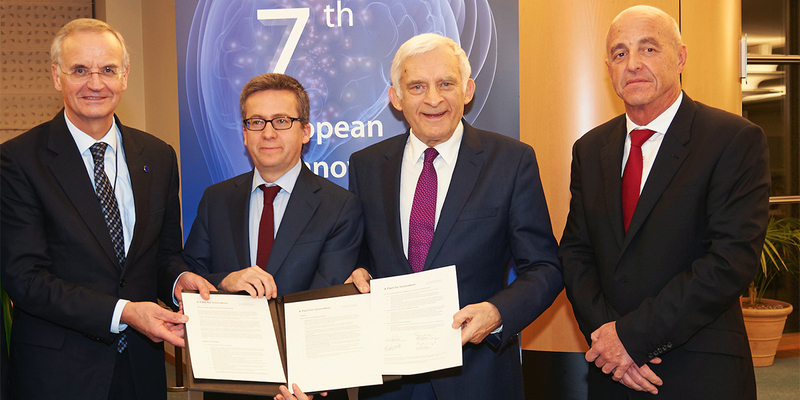 The Pact for Innovation was signed by the K4I Forum leadership and handed over to Research and Innovation Commissioner Carlos Moedas during the Opening Ceremony of the 7th European Innovation Summit. Commissioners Katainen and Moedas as well as the President of the Committee of the Regions, Markku Markkula, welcomed the Pact initiative during their speeches. As a signatory of the Pact4Innovation, you can contribute to the themes that have been identified as the main priorities of the P4I. Human capital and innovation are strongly tied together. People are the source and medium of making dreams a reality and turning inspiration into innovation. Researchers, inventors, innovators and entrepreneurs make it possible to create knowledge, bring innovation to the market and ensure growth. The effective use of human potential is thus the core of economic progress and the heart of innovation capacity. To secure its position in a global context in this century the EU must, as a priority, invest in young talent. To keep Europe at the forefront of worldwide change and technological advancement, we need to adapt our overall political structure and processes. Only through the creation of an open, inclusive and innovation-friendly environment will Europe be able to stay competitive at a global level. There is a need for a comprehensive, ‘incubating’ eco-system for people within an open, innovation-driven climate resulting in a better, higher quality exchange of information between various domains involved in the generation of new ideas and technologies bringing forward badly needed solutions. “I am committed to getting the conditions right for innovation in Europe. Clearly one of the most important of these conditions is the regulatory framework” – Commissioner Carlos Moedas. Europe needs a regulatory environment that encourages innovation and the impact of any new legislation on innovation must be assessed. Concepts such as innovation deals and regulatory sandbox approaches – ‘safe spaces’, where businesses can test innovative products, services, business models and delivery mechanisms – as for example applied by the UK Regulator for fintech innovations. There is a need for a disruptive approach to legislation is needed in order to create a regulatory framework able to be responsive to the emergence of new technologies; current misfit between the timing of the regulatory framework and the considerably faster evolving technology market. “We live in a society exquisitely dependent on science and technology, in which hardly anyone knows anything about science and technology.” – Carl Sagan. It is important to think how the EU can support stronger Science Communication and to address a number of questions: how can science and media work better together to improve communicating science to the European citizens? What is the role and responsibility of each actor? How can the EU institutions foster better cooperation between the key stakeholders? What kind of institutions and incentives are needed to support better Science Communication? Europe’s future depends increasingly on its ability to innovate. Especially the younger generations need to be able to adapt to fast changing technologies and increasing labor market requirements. Education and mobility are key! There needs to be a more bottom-up action at the ecosystem level and then to network the ecosystems. Europe needs to be able to better exploit the knowledge it creates. The best entrepreneurs should be well-connected with the results of research and innovation. Impact and especially societal impact is important. Projects need to be undertaken in an environment that is more flexible during their whole lifetime. Innovators need to have more flexibility in using money, the possibility to access latest knowledge and engage talented young people.